When I studied the leaded stained glass windows in the cathedral in Chartres, France, I became a pilgrim following in the footsteps of those who wore smooth their famous labyrinth stones. Instead of seeing too many cathedrals, I chose to spend a few days there to get a sense of the place and the effect the stained glass had on the space. It is difficult to put a value on the effect time has on a building and the people that worship there. 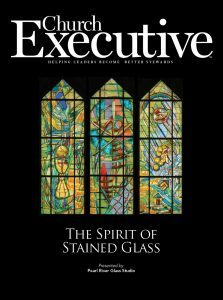 Stained glass continues to be relevant in the Christian Church for a number of reasons. The pilgrims in medieval times would walk for days and weeks to visit the cathedrals throughout Christendom. The original stained glass artists were charged with creating a heavenly Jerusalem on earth by filling the cathedral walls with jewel tones of glass and colored light. A vivid sunset can unleash a positive reaction to its beauty in each one of us. For hundreds of years, stained glass has created that same response to beauty in pilgrims and modern churchgoers alike. People know they are in a church when they walk into a building with leaded stained glass windows in color. And — like the sunset — we respond to vivid projected color. Unlike all other art forms, stained glass is unique in manipulating the color of light — and not only the color, but also the sense of depth achieved by varying the transparency of the stained glass. Paintings, mosaics and the like look essentially the same every time you turn on the light in the room. Stained glass can change instantly when a cloud shades the sun or when the light at dusk goes through the transition to nightfall. The light does not just change from hour to hour and day to day; it changes through the seasons of the year. In my church, we have a clear window that is scheduled to have stained glass. But, until a donor is found, this window during Advent and Christmas allows the sun low in the sky to cast a ray of bright sunlight onto the Lay Minister reading the Old and New Testament lessons. In the summer months — with the sun overhead — the color projections from the clerestory windows dapple people in the pews with projections of colored light. When we go to church, all our senses come with us. We walk in on wood, stone or concrete floors and feel the wood pews when we take a seat and smell the incense. The choir creates a joyful noise, as does the band, singers, and we, too, when singing along. Stained glass engages the sense of sight in a profound, compelling way. Centuries ago, the windows created a visual storybook. Today, stained glass windows can communicate the essence of theological ideas, such as the Holy Trinity or the receipt of the Holy Spirit at Baptism. 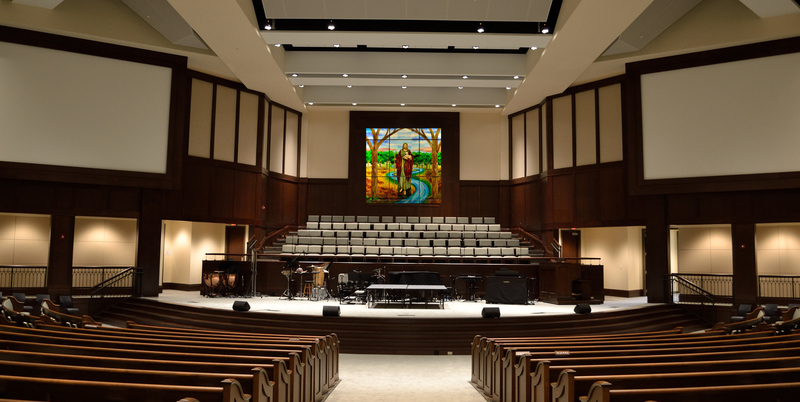 Stained glass continues to be relevant to the worship Christians experience in a new structure — one recently updated through renovation, or as a way to give a new look to a familiar place. In a series of articles to follow, I will write about the continuing innovations of this time-honored art form in service to the Christian Church. These innovations parallel the continuing ability of Christianity to stay relevant in an ever-changing world.